While I'm on a roll tonight, I'll post another set of Nanoir's lyrics. Note that for the moment I'll skip transcribing track 4 because most of the song is in Japanese, and I'm not fluent in the Japanese language. So for now enjoy the lyrics of track 5 - glow. They tried to melt away all the broken scars. Someone’s smiling face hidden deep inside. As the time is passing by we find the strength inside. The beautiful lies are not so hard to tell as before. Sometimes I still hear them knocking on my door. The way for you to see the tears in my eyes. Nobody is there to hear me cry. All the scars you’ve given me. They’re taking all of me. Please disappear, don’t want you here. I look at you and pray like this. I’m holding on to you so deep inside. Now it’s time for you to walk the distance. Nothing is left for me but only silence. In this sentimental glowing twilight. Alone I face the night. Just my stupid little childish fantasy. I’m falling apart without you. Can you wipe away all of my tears? Can you fight away all my fears? To the you that I don’t want to lose. 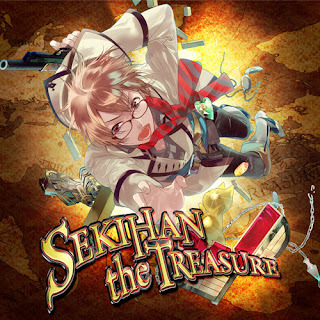 Sekihan releases new single "SEKIHAN the TREASURE"
Sekihan is a renowned NicoNico singer doing covers of (Vocaloid) songs and his fame is on par with Piko. 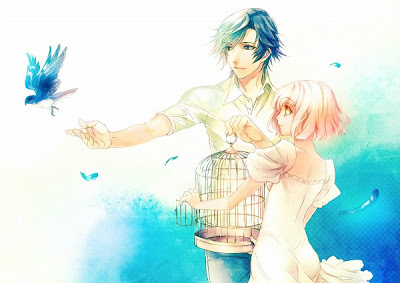 Sekihan is graced with the rare talent of being able to sing in both masculine and feminine vocal tones. Sekihan has released over three albums (EXIT TUNES PRESENTS Ikemen Boys Paradise, EXIT TUNES PRESENTS SEKIHAN the BEST, and EXIT TUNES PRESENTS SEKIHAN the GOLD), and have collaborated with many other Vocaloid composers and NicoNico singers. DDL is found! Let us rejoice. Miyano Mamoru (宮野 真守) started off as a seiyuu (voice actor) for animes and movies in 2002, later he expanded his career with singing and acting. Miyano has won several acting and voice acting awards. He is most known for his roles in: Kingdom Hearts (as Riku), Death Note (as Light Yagami), Ouran High School Host Club (as Takami Suoh), Mobile Suit Gundam00 (as Setsuna Seiei), Vampire Knight (as Zero Kiryuu), Steins Gate (as Rintaro Okabe), Durarara (as Kida Misaomi), just to name a few. In 2007, Miyano released his debut single "Kuon". Two years later he released his first album "Break". In 2010 he released his second album "Wonder". 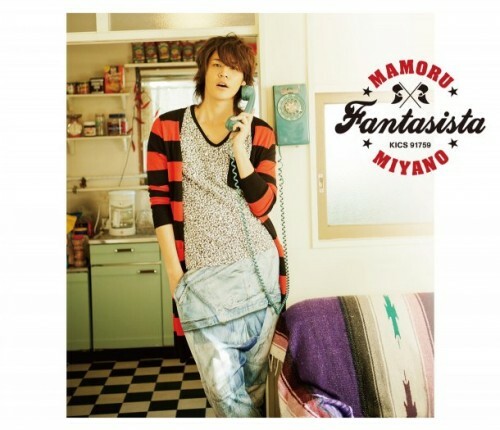 Today, Miyano released his third album "Fantasia". DDL link can be found through here. I have tested and tried so many music players on Android that I have lost count. Among the few I found were PlayerPro, WinAmp and DoubleTwist Player. However, I still go back to PowerAmp because it is just has all the features I need. It also packs some nice themes as well as automatically grabbing album art of the internet. The UI is totally slick and responsive, I just love it! That was a huge list and it packs all those awesome features for only $4.64 from the Play Store. There is a 15 day trial version which you can download and play around with, but I definitely recommend buying the full version because it is totally worth it. PowerAmp is stable, highly configurable and just totally awesome! 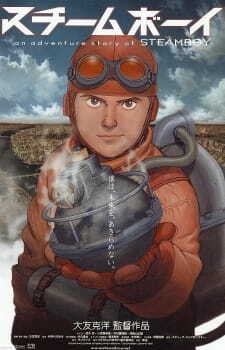 Set in alternate history where steam is the main source of energy, Steamboy is all about the steampunk universe and how a boy manages to aquire a "Steam Ball" which contains many mysteries. hence, the adventure is set and the story is told. Ray is a young inventor living in the U.K. in the middle of the 19th century. Shortly before the first ever Great Exhibition, a marvelous invention called the "Steam Ball," behind which a menacing power is hidden, arrives at his door from his grandfather Lloid in the U.S. Meanwhile the nefarious O'Hara Foundation has sent men to aquire the Steam Ball so that they can use its power towards their own illicit ends. Steamboy is set in a steampunk world where everything pretty much runs on steam. Ray Steam is an avid young inventor who works at a textile mill in Manchester as a maintenance boy, often working on a personal steam-powered monowheel at home. Ray's life is suddenly disrupted by the arrival of a package from his grandfather Lloyd; the metallic ball seen earlier, along with its schematics and a letter instructing him to guard it. Hence a chain of events happens and Ray is tasked to protect the "Steam Ball" from the evil corporations. Along the way he meets Scarlet and they slowly fall in love with each other. The story is no means original but you do get a sense of awe from the whole 'steampunk' environment. The art is decent with some nice touches to the steam machinery that is pretty much evident everywhere. While the animation was really top notch in most cases, I did not care for the character designs. Particularly that of Scarlet as she looked more like a cross dressing boy than a girl. As I mentioned the animation for the various steam machines and action was amazing. The level of detail and fantastic designs were definitely a highlight. The music and acting was all very good though. The background music did a lot to build the grand scale of the movie. The voice acting was decent enough to make it sound realistic but then again, dubs aren't so good at all. Maybe I'm placing too much stress on the lead character, though - he (Anna Paquin) was the most noticably awkward, the others were quite well-voiced. I also noticed the lip-syncing was a bit blocky, but the soundtrack was good enough to keep you going to the end. Pretty unique characters are presented in the anime and I don't think any other anime would have similar sets of features that these characters have. It's original and different than the rest. Steamboy is overall though just an average adventure story. I certainly didn’t dislike this movie at all, I've just seen a lot better. Still I don’t think anyone would dislike this so if you enjoy fantasy and adventure stories, Steamboy will be well worth your time. Pretty generic storyline to be honest and a bit predictable at times. Not stunningly amazing but the nice detail on steam machinery is just cool. I watched this in English and I was disappointed. Some voices needed some work. Unique characters that can't be found elsewhere. I enjoyed the adventure of it all. Good is some way, bad in others. It really is up to your taste of anime.